Setting up our campervan, the smell of BBQ was undeniable; the seductive scent of giant pits carefully preparing chosen cuts of meat. Meats slowly cooked into submission, seasoned to perfection, and smothered in homemade super-secret sauces. In the South BBQ is an art-form, a near-religion, and all preparations were being made to usher us into heaven. While searching for a 4th of July event, we had stumbled across, “The Happy Hobo Express”. 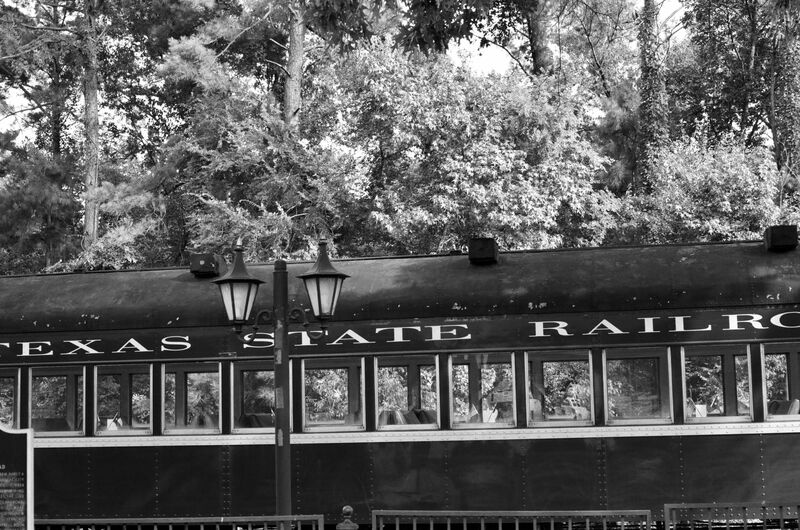 Billed as a BBQ cook-off, train ride, fireworks display, and concert, all hosted by the Texas State Railroad. Seemed cool, but how does the Hobo fit in? 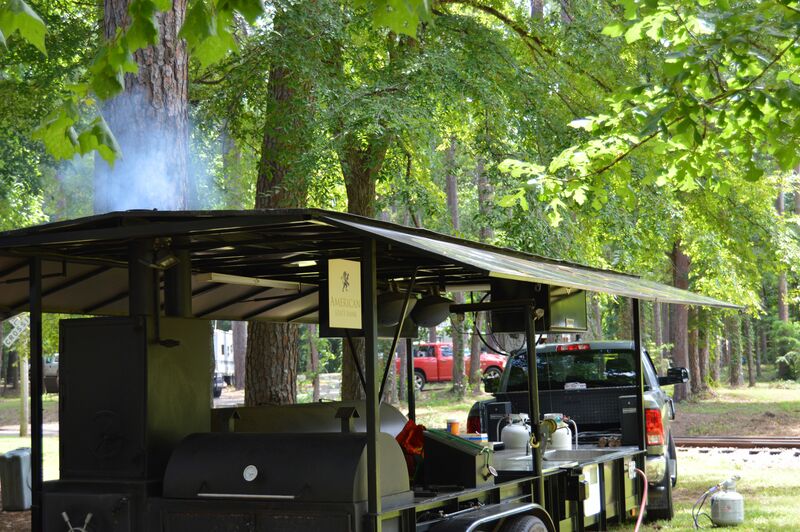 Was this a southern BBQ version of a soup kitchen? Would we be mugged by a “real” not so happy “Hobo” only too assume it was part of the pageantry? Before sunrise the following morning, my shutter echoed through an empty train station. The architecture and decor set a background frozen in the post-war era of the 40’s. Imagining myself surrounded by travelers: every man was wearing a hat, every woman a floral dress, each carrying luggage bound by leather straps. The musical swing beat of Chattanooga Choo-Choo played through P.A speakers. Like a time capsule, history was securely tucked under every rivet and bolt of these old passenger cars. In the shifting light of sunrise, struggling to wake up, preparations were being made for a festival. 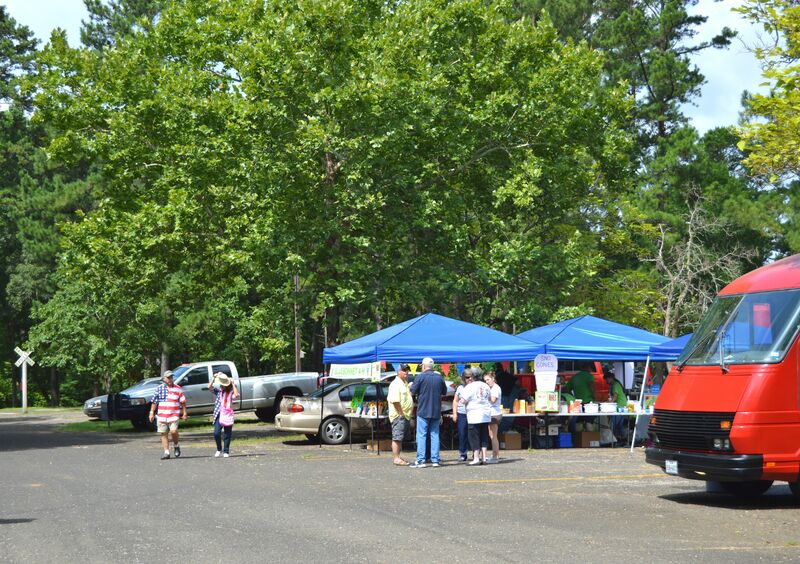 It was explained to us over a cup of coffee that this event, although hosted at the Texas State Railroad, was a fundraiser for the local 4H chapter. A program dedicated to the growth and development of youth through the positive experiences of volunteer work, community development, and education; like Templeton the rat from “Charlotte’s Web“, I cast my gluttonous-self upon the delicious offerings of the fair grounds. After all, it was for a good cause. Further meandering revealed more excitement. Low and behold, what was this? 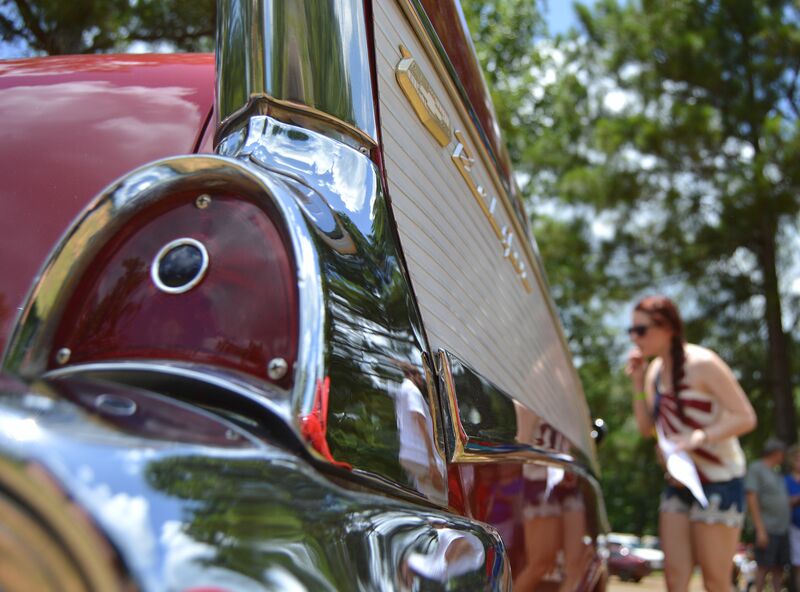 A car show was set before a 1906 country church, and the shifting clouds of the bright blue Texas skyline. Winning!!! What photographer/car guy/ history buff, wouldn’t jump on this like Tom Cruise on Oprah’s couch? Later that day, stuffed with BBQ, we were nodding off. 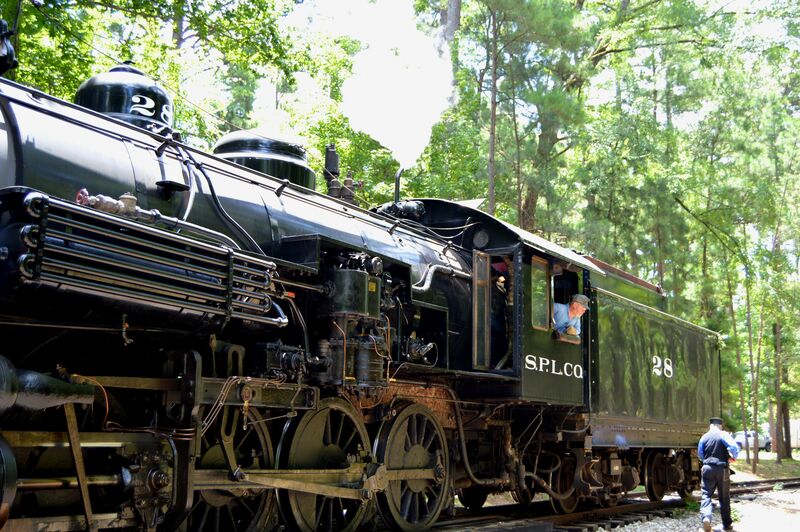 The rhythmic puff and hiss of a steam train jolted me awake. Camera in hand, short legs broke the stocky-man… speed barrier, a.k.a. a normal persons jogging pace. I could hardly steady my hands thought the excitement. 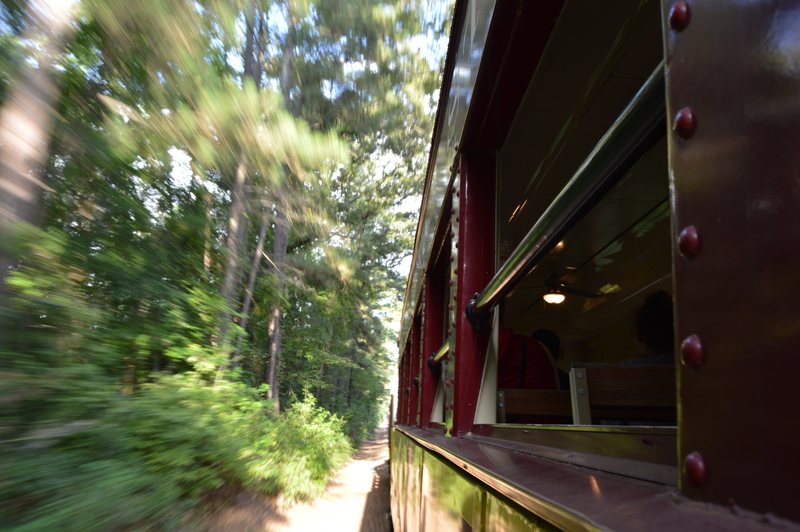 Although our train that night was driven by a Diesel Engine, the ride was no less magical .From our open-air car, the green of Texas woodlands blurred into a kaleidoscope of beautiful wilderness. A girl in her late teens sitting a few rows ahead of us viewed the splendor through her camera. I removed my 1976 Cannon AE-1 from its case. The mechanical sound of film advancing caused her gaze to fix upon its lens. After speaking with her parents, I cautiously handed her my Grandfathers camera. With a giant smile, and eyes of amazement, she took her first film photograph. I knew my Grandfather would be proud. Later that night,we attended a fireworks display and concert. This was no discount cheap fireworks show. This was earth-shaking, memory-making American pride, Red White, and Blue celebrating our independence since 1776. Sorry “British Empire” we just can’t seem to let this one go. The smoke was still clearing from an arsenal of pyrotechnic magic when the band took to the stage. 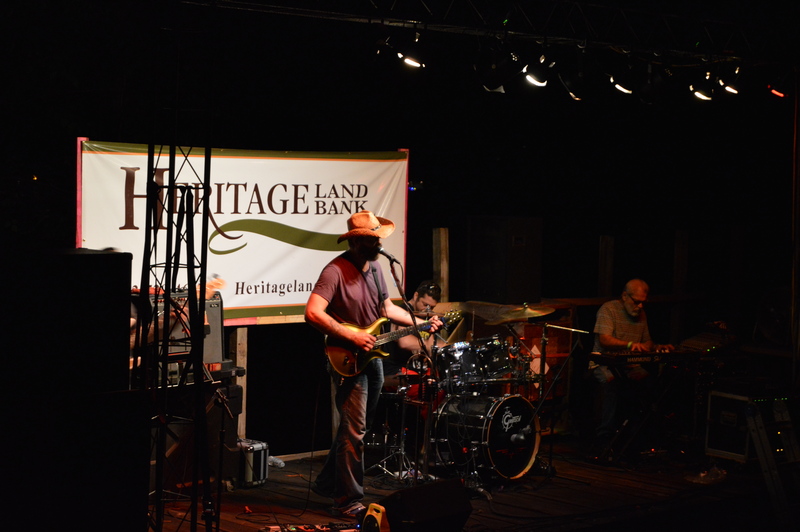 A stage comprised of no less than a flat-bed train car, housed between passenger cars. They did an awesome cover of Waylon Jennings, “Good Ol Boys. Wow, way to Go Big, Happy Hobo Express! 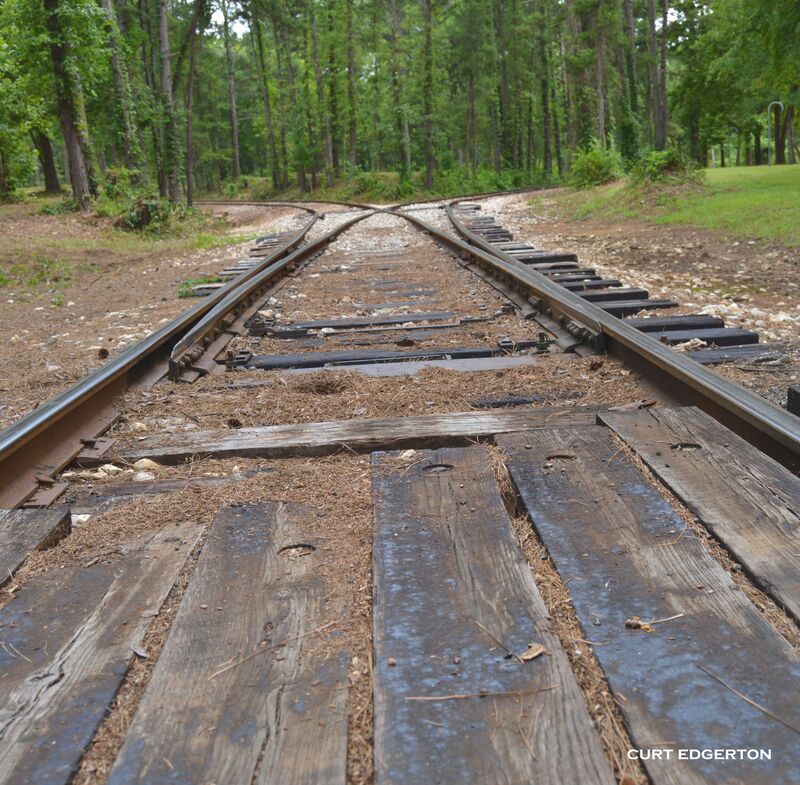 My only complaint: where was the Hobo? Then it hit me. I was away from home, somewhat a transient. Out of the goodness of their hearts, strangers had given me samples of BBQ all day. I had been entertained for free. Lying down at 1:00 am sifting through the memories of this fun filled day, WOW. This is what happens when great people come together. We have different gifts, and passions, that’s sort of the point.Grill masters, vendors, crafts people, musicians, organizers, railroad men, car enthusiast, and a goofy photographer, each doing what we love, united for a good cause. It was certainly one of those activities with more going on than we had expected. As always thanks for checking it out. 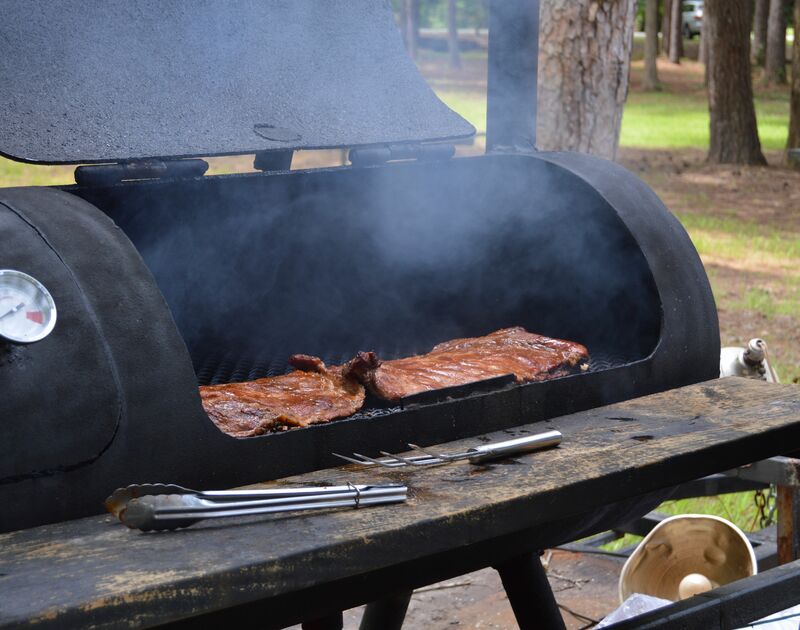 I hope to experience a real Southern barbecue some day. Southern BBQ is the things dreams and large waist-lines are made of. Gorgeous post. Love the story, beautiful pics! Thank you. Perhaps the first time one of my post has been called “Gorgeous”. A wonderful compliment to see first thing in the morning. What a great event, looks like so much fun. We didn’t know what to expect, but it was encouraging to see so many people working for a good cause. I have a slight obsession with trains, so this looks like it was a great weekend! Super cool photos! And as always, a beautifully expressed story of your day. And you shoot with a 1976 Cannon AE-1? There is something about film that will always be timeless. What a great memento from your grandfather. I use a few Nikon DSLR but I love breaking out the old 35mm, or the 120mm I have restored his AE-1 and his Mamiya C33.